It was a good weekend to be a Bobcat as the Quinnipiac men's ice hockey team swept a weekend home slate against Brown and Yale both via shutout wins. Andrew Shortridge picked up his second and third career shutouts and the Bobcats got timely goal scoring throughout the weekend and capped the weekend winning the Heroes Hat once again with their home win over Yale. There was some future Bobcats that had a very good past week of action so without further adieu lets take a look at how the future of Quinnipiac hockey did. 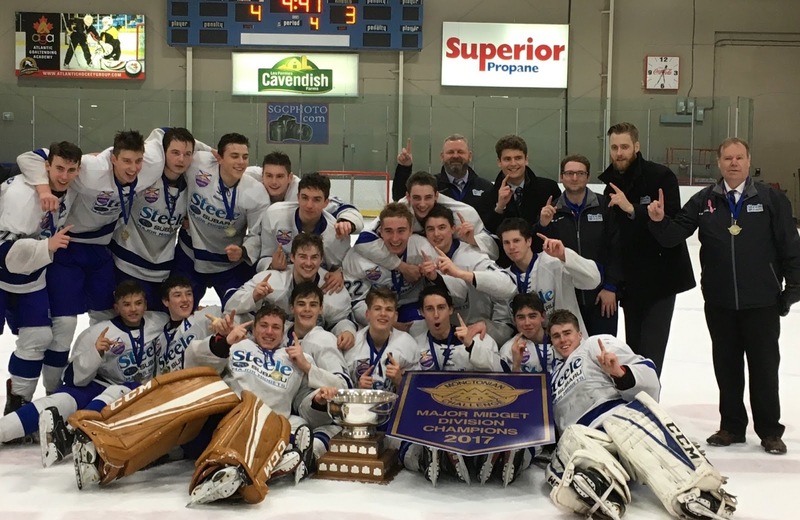 Austin Spiridakis picked up another goal this past weekend for the St Albert Tire Warehouse Raiders (AMHL) in a 3-1 win over the Calgary Royals . On the season he has 6 points (4 goals, 2 assists) in 15 games played. Wyatt Bongiovanni had another 2 points (1 goal, 1 assist) in two games played for the Muskegon Lumberjacks. On the season the Michigan native has 9 points (5 goals, 4 assists) in 14 games played. He had an impressive back handed goal on Saturday in Muskegon's game against Sioux Falls. Here is the clip. Zach Metsa had two assists this past week for the Youngstown Phantoms. The Delafield, Wisconsin native now has points in four of his last five games (1 goal, 3 assists). He is averaging over two shots per game on goal for the season has 6 points (1 goal, 5 assists) in 14 games played. We missed this last week but Corey Clifton made his USHL debut with the Muskegon Lumberjacks. He had two assists in his first two games but was kept off the score sheet this past weekend. He had previously been with the North Jersey Avalanche U-18 team. Its unknown if Clifton will remain with Muskegon the rest of the season but he is off to a good start for the Lumberjacks. 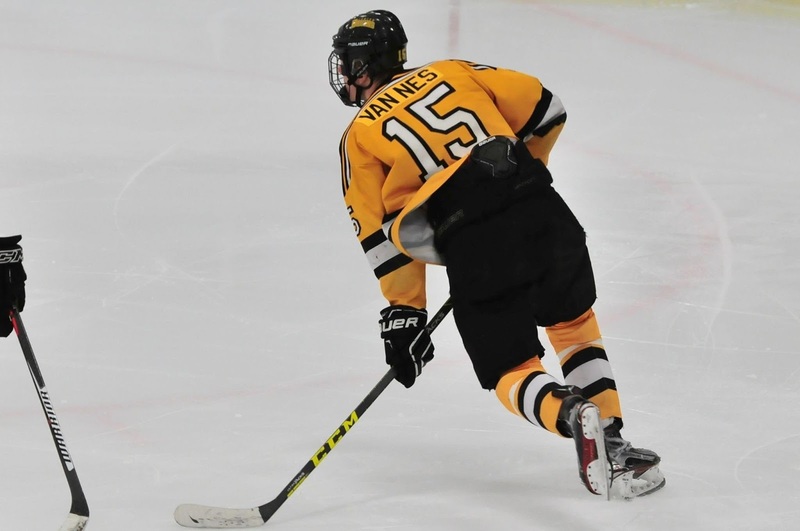 Gus van Nes is starting to look like a nice late bloomer pickup for Quinnipiac. The Netherlands born forward has been on fire since making his commitment to Quinnipiac. This past weekend he six assists including four in Sunday's win against the New Jersey Rockets. He is on a five game point streak (3 goals, 9 assists) and for the season he has 29 points (8 goals, 21 assists) in 29 games played. 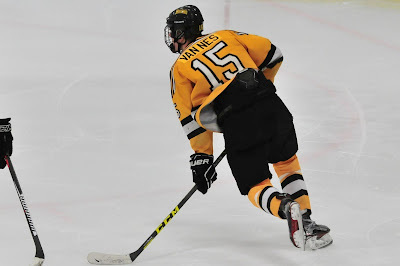 van Nes will bring size and some scoring ability up front to the Bobcats next season. Matt Cassidy continues to put up points for the Brooks Bandits in the AJHL. The Medford, New Jersey native had two more points this past weekend (1 goal, 1 assist) as Brooks split a pair of games with Canmore. In 17 games with the Bandits, Cassidy has 13 points (6 goals, 7 assists). Ethan De Jong of the Prince George Spruce Kings has surpassed his 2016-2017 season of 30 points before Thanksgiving. He had three more assists this past weekend in two game played. He now has 31 points (9 goals, 22 assists) in 27 games played this year averaging 1.15 points per game. He had 30 points in 43 games last season. It was another good week for 1998 forward Michael Lombardi as he had three more assists for the West Kelowna Warriors. He now has points in seven of his last eight games for West Kelowna. The first year BCHL player now has 16 points (6 goals, 10 assists) in 25 games combined between the Chilliwack Chiefs and West Kelowna. Jonathan Singer is a 2004 Quinnipiac alum. You can follow the BobcatsHockeyBlog on Twitter @QHockeyBlog.